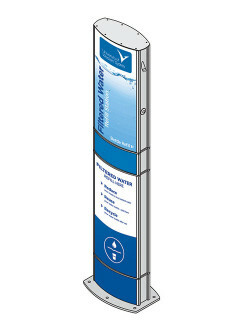 The Junior aquafil Pulse water bottle refill station is 3.953ft high. 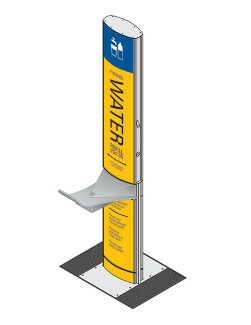 It is a robust, vandal resistant compact unit, built to endure the harsh realities of the public environment. 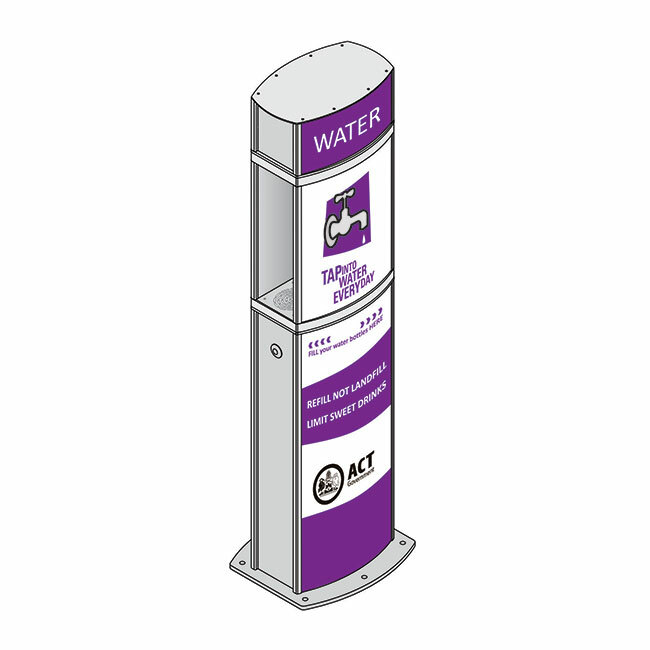 The anti-bacterial dispensing nozzles deliver quality filtered and non-filtered drinking water and and the changeable display panels help promote sustainable living and by encouraging a healthy lifestyle. 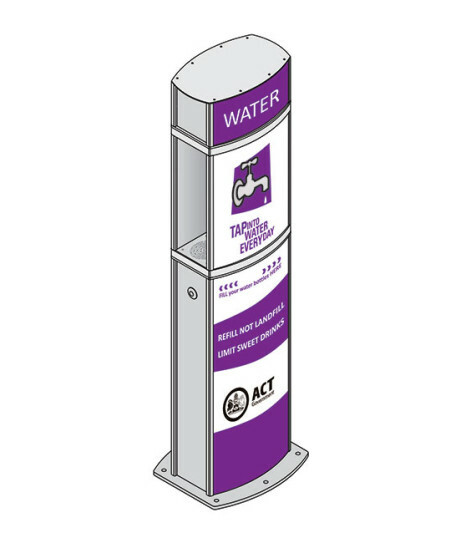 Water Refill Stations are a dynamic educational tool in the fight to reduce plastic waste and conserve precious resources. 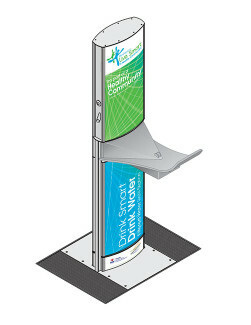 For more information please download the product brochure or contact us today. 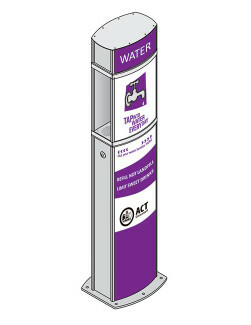 The aquafilUS range of water bottle refill stations and drinking fountains are ideal for ALL public areas including parks, schools, universities, colleges, beaches, sporting facilities, golf courses, stadiums and shopping centers. 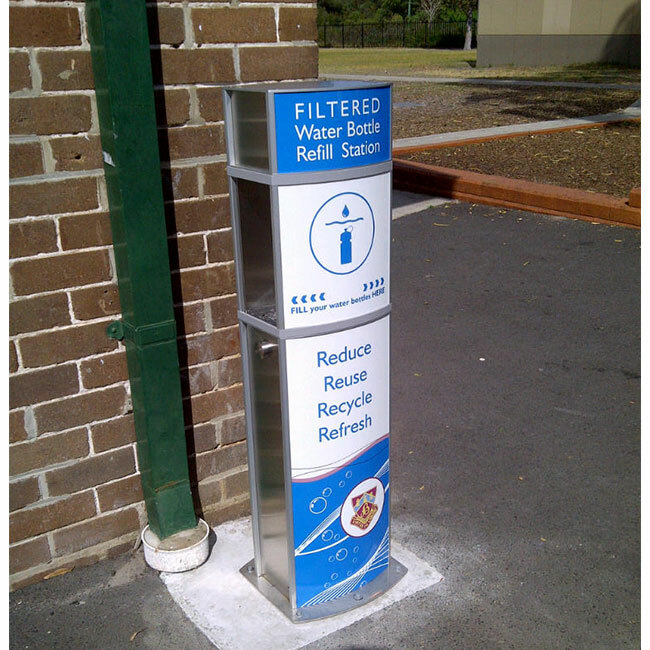 Water refill stations are a practical product that combat the extravagant waste of resources generated by bottled water and offer a refreshing healthier alternative to sugary drinks.